This post elaborates the common causes of quick battery draining issues with the Galaxy S5 along with efficient workarounds that will help you deal with the problem. Battery problems are among the widespread issues encountered by many smartphone users even those with high-end devices like the Galaxy S5. Oftentimes, the problem manifests on the device after several months or years of use but for some reasons may also affect brand new units. Battery draining issue can be triggered by many different factors. Based on laboratory experiments, factors such as network configuration, wireless service provider, signal strength, features selected, operating temperature, browser use, backlight settings, frequency of calls and voice, data, and other apps' usage patterns often contribute to battery power consumption on a device. Frequent or heavy usage. Note that the more you use your device, the more quickly it drains and thus, the more often the battery needs recharging. Extreme Temperature. Prolonged exposure to extreme heat or cold can also degrade your phone's battery life. Use of non-Samsung battery. To avoid battery power issues, it's highly recommended to use only original manufacturer batteries. HINT: Try to determine the potential cause prior to troubleshooting to obtain quick and definite fix to the problem. Below are some of helpful tips and workarounds that will help you deal with the main issue, reduce battery consumption, and make the most of your Samsung Galaxy S5 battery life. You may try any of the given methods which you think most applicable to the issue you have with your device. IMPORTANT NOTE: Perform the following procedures ONLY if you think the problem is NOT associated with the hardware, like the use of defective battery or other charging accessories. 1. Check Apps/Services tied to Battery Power Usage. Regular monitoring and analyzing of which apps and services are using the most of your phone’s battery power is important in this case. Your phone is designed with an interface where you can see everything that’s using its power through Battery Status. With this feature, you can view which apps or services are using more power. Disabling or uninstalling non-essential applications is also recommended. Again, it's a good start to find out what's in your phone that's using much of the battery power. Touch Apps from the Home screen. Touch Battery to view Battery Status details. In this screen, you will see the percentage of the remaining battery power and how long you might expect that power to last. It also displays the processes that have been utilizing the phone's battery power since it was last charged and the percent used by each process. Hint: If you want to view more detail about which processes were running since your phone was last fully charged, simply touch the graph. Closing out apps running in the background also helps improve battery life. It is also recommended to update settings of any app or widget which is refreshing data periodically (email apps), sending multiple notifications (social app notification for new posts), using GPS location services (Maps constantly tracking current location) and keeping the display lit constantly (games designed to keep the screen lit even when idle). Press the Recent apps key from any screen. Scroll to then tap the desired app to open it. Swipe right or left over an app or tap the X icon to close it. To close all running applications at once, tap Close All. Hint: You can view active apps by tapping the Active Applications icon. 3. Check and Adjust Display Settings. Adjust the brightness to automatic, or select the lowest brightness level available. Set the screen to go dark more quickly when the phone is not in use (idle). 4. Disable any Unused Phone Features. Services like Location services like Maps and Navigation (GPS), Bluetooth, and Wi-Fi are heavy consumers of battery power. That’s why it’s highly recommended to disable these features when not in use. You may also consider replacing TouchWiz launcher with other better alternatives. TouchWiz is also one of the S5 features that utilize a significant amount of the battery power. Tap the Wi-Fi switch to turn Wi-Fi OFF. 5. Activate Power Saving/Ultra Power Saving Mode. The Galaxy S5 has built-in battery saving features like the Power Saving and Ultra Power Saving Mode which help preserve battery power when activated. Enabling power saving mode on your device will limit the device performance thus conserve battery power. You can also select which features you may opt to restrict. Here are the steps on how to activate these features, just in case you need help doing so. Touch the ON/OFF slider to enable Power saving mode feature on your device. Once you've enabled power saving mode on your device, you can restrict your phone's background data and performance. In here you can configure the CPU performance to limit the maximum performance, use a lower frame rate and power level via screen output, turn off touch key light, and turn off GPS. You may also activate Grayscale mode to convert color screens to battery-friendly grayscale if you prefer. With the Ultra Power Saving Mode, you can switch your device's screen to grayscale and disable non-essential apps to get the most of your phone's battery life. When this feature is enabled, you will still be able to receive calls and texts for up to 24 hours even if you're down to a 10 per cent charge. Follow these steps to enable this feature on your device. Touch Ultra Power saving mode. Touch the ON/OFF slider to enable Ultra Power saving mode. When prompted, agree to the Terms and conditions by marking the checkbox next to “I have read and agree to all the terms and conditions above,” and then touch OK to continue. You will be prompted to review the changes with Ultra power saving mode enabled on your device. Touch Turn on or Enable to confirm. By default, Internet, Messages, and Phone apps are automatically available in Ultra power saving mode. Hint: To add more apps, touch the plus (+) icon. To configure or adjust Network Connections, Display, and Sound settings while in Ultra power saving mode, simply touch the More options (three-vertical dots) icon and then select Settings. Disable/manage auto-syncing of accounts. Disable sync for the service you don't really need like Facebook background sync. Just go to Settings and then touch Accounts. Configure timeout settings and lower the backlight time. Lower brightness of the screen or use Automatic brightness instead. Disable Preloaded Bloatware. Disabling preloaded apps like Memo, ChatOn, Smart Remote, S Voice and even S Health (if not used) also helps reduce battery power usage on your phone. Uninstall buggy apps. Sometimes, third-party applications also impact your phone and make it seem like a battery issue. There are some buggy apps that will trigger the device to power off unexpectedly or consume a large amount of battery. If the issue occurs after you install new app, then uninstall the app. Update device software. Another recommendation is to always keep your phone software updated to the latest version to ensure best performance. If you haven't yet updated your phone, you can check for any software update available for your software version. Just make sure to back up your device before updating. If problem persists after trying all the aforementioned procedures, then your last option would be to escalate the issue to your phone provider/carrier for final recommendations. Visit our http://stephaniefulke.blogspot.com /2015/06/samsung-galaxy-s5-troubleshooting.html" style="font-weight: bold;" target="_blank">S5 Troubleshooting page for more issues and troubleshooting procedures and problem fixes. we feel the information How to troubleshoot quick battery draining issues on Galaxy S5 that's all. hopefully the information How to troubleshoot quick battery draining issues on Galaxy S5 that we have conveyed can provide benefits for you and all visitors of this blog, if any criticism and suggestions please comment. 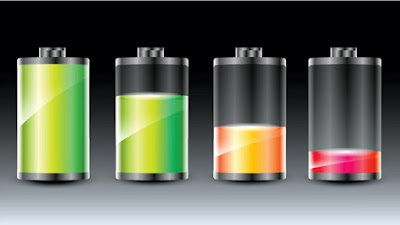 you just read How to troubleshoot quick battery draining issues on Galaxy S5 if this article is considered useful and you want to bookmark and share it please use the link https://stephaniefulke.blogspot.com/2015/08/how-to-troubleshoot-quick-battery.html and what if you want other information look for another page in this blog.